Three employees of China's main search engine, Baidu, have been arrested on suspicion of having accepted bribes to delete posts from its forum service. The web giant fired the three, along with a fourth person who was not arrested. 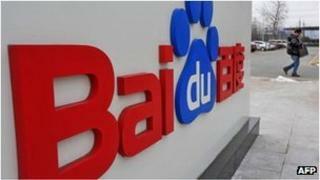 Baidu's spokeswoman, Betty Tian, said the sums involved amounted to "tens of thousands of yuan" (thousands of pounds). It is not known what posts were deleted. "Baidu has always firmly cracked down on the illegal behaviour of online posts deletion for payment," Ms Tian wrote in an email to the BBC. "Baidu has also proactively reported actions involving illegal behaviour to the public security organs. "We have established that we will not accept any payment in handling online user complaints. "Baidu has continuously provided professional ethics education to staff members who are given authority to delete online posts." Baidu, as well as other Chinese web companies and foreign websites aiming to operate in China, has to comply with the country's strict internet regulations. Known as The Great Firewall, the system bans a number of foreign web services in the communist nation and imposes strict censorship and self-censorship rules. There are a number of illegal agencies in China that promise to delete controversial or negative online content on behalf of companies or individuals. To deal with unwanted web posts legally, companies such as US-based Reputation.com specialise in creating positive content, which is meant to come up higher in the search results. Cracks in the wall: Will China's Great Firewall backfire?